Employees have an innate desire to feel needed. To know they are wanted. To feel like they matter. To see that are not just another cog in the wheel. 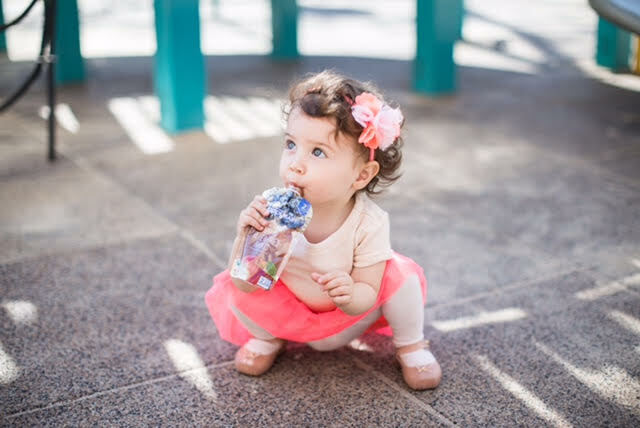 "From the moment we've started, we've grown our business by caring about heathy, happy children as much as you do." These are the words that CEO, Shazi Visram lives by. Visram has such a unique story, coming from humble upbringings, which has played an integral role in why she does what she does. Her parents were immigrants first arriving in Canada with $200 to their name. They later moved to Alabama where they bought a motel. "I always admired their dedication when overcoming challenges." This is one of the reasons she has grown to have a passion for entrepreneurship. In the middle of Happy Family's offices, located in downtown NYC, Shazi has a quote painted upon the wall which reads happiness: a state of well being brought on by changing the way children are fed in our country, offering healthy organic food to make their little bodies thrive, minds shine and parents smile. Happy Family is a company that practices what it preaches. 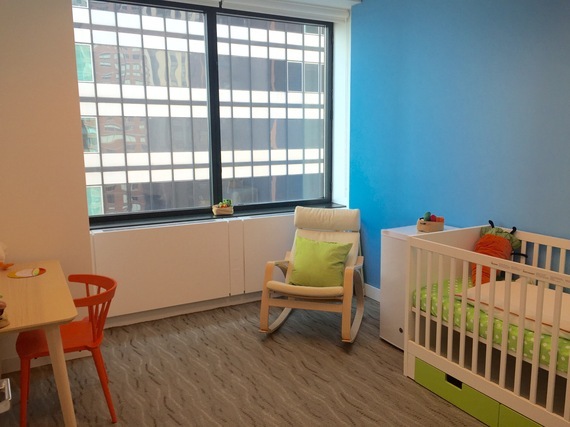 They are so invested in their staff and their comfortability when returning to work after having a baby that they have created a room solely for that parent and baby to use as needed. Whether the mother would like to pump or nurse here, if the baby needs to come to work for whatever reason, there is a crib for them to sleep in and a rocking chair for the mother or father or caretaker to rock the baby. It has wisely been said when you take care of your employees, in turn, your customers will be well taken care of. It is part of the equation to a successful company. Happy, well taken care of employees equals a thriving business. Shazi wanted to start something impactful and it is safe to say that she certainly has. Visram just received the Columbia Business School Distinguished Early Achievement and found herself relying on the mentality, "It's not how hard you can hit, but how hard you can get hit and keep moving forward." I don't think it's coincidental that Happy Family just celebrated their 10 year anniversary on Mother's Day weekend. Happy Family started with 115,000 sales its first year and now a decade later, they are hoping to clear 150 million sales. Happy Family is about creating a culture as one that holds the utmost respect for its employees and in turn, is producing the world's fastest growing organic baby food. Happiness can be defined as a state of well being brought on by changing the way children are fed in our country, offering healthy organic food to make their little bodies thrive, minds shine and parents smile. Or at least this is the definition for CEO of Happy Family, Shazi Visram. Shazi felt it was important to create an environment where all of her nursing mothers felt inclined to pump at work, any time, any where. They certainly have the option for privacy in the nursery room built for one of those reasons, but most of the mothers feel so comfortable amongst staff that they pump during meetings. "It's part of the culture" there and what they stand for. Happy Family offers 12 weeks of paid leave for mothers, and they are allotted up to 3 months of unpaid time to transition back to work. Fathers are offered 4 weeks of paid family leave. Shazi says her workers "come back after their paid leave fully engaged and happy to be there." She attributes her compassion and support for her employees as she returned to work just 10 days after her emergency C-section with her son, Zane, who is now 6. Shazi and her husband value the importance of the health of both mother and baby and the bonding time between both mother, father and child. Happy Family focuses on age and stage appropriateness. Shazi and her team focus on baby's first 1,000 days being the most optimal. What sets her company apart from other competitors is her transparency level. Not only have they developed a line with transparent pouches so consumers can see what they're buying, but they also clearly list on the back all active ingredients and the recipe in how to make the food. 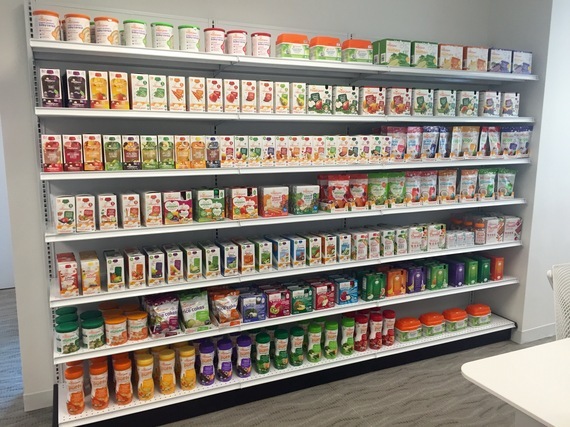 Products can be found at major retail partners including Target, Whole foods, Natural Channel, Safeway, Kroger, and more. Amazon and Diapers are also two of the many online key players who carry their products. Happy Family is on a mission to changing children's health. This brand can be found in 30 countries, including Tanzania where Happy Family Village is located dedicated to orphans there. "Every baby deserves to be a happy baby." 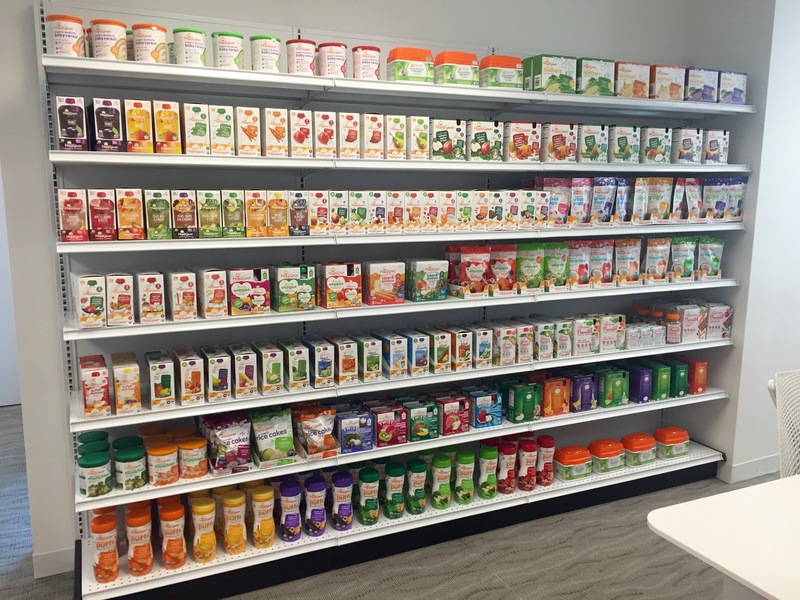 Shazi's goal is to be the most successful organic baby food and empower families with the information they need. Not only do they pride themselves on being affordable, providing the recipes on the backs of their products, but they are soon coming out with a book to help families even more. They also are giving tips on how to reduce the cost of organic eating. There is no greater thing you can do with your life and work than following your passion which is also giving back and serving others; transforming the world. And that is just what Happy Family is doing. And how have they done it? From the inside out: it all starts within the heart of the company. Shazi says that this idea started and continues with the idea of "loving moms trying to change the world."